Are you thinking about the essential inclusions in your Elvis collection? In this article (which will be updated periodically), EIN looks at what it considers to be some of the 'best ever' Elvis CD/Record; DVD/Video; and Book/Magazine releases. Elvis Presley (RCA): Elvis' first album release. Symbolically, and creatively, a primordial record of the musical genius which went on to captivate the world, both in life and death. 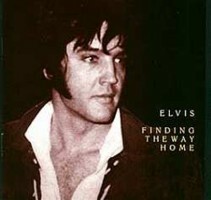 Raw Elvis, a landmark album, an important piece of music history. The King lived...and lives! 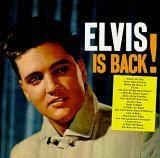 Elvis Is Back: Critically acclaimed in its day and more recently sometimes dismissed as "pop fluff", the eclectic and resonant sounds on this album should relatively rank it as high as The Beach Boys 'Pet Sounds' or The Beatles 'Sergeant Peppers Lonely Hearts Band'. At the time it was a zenith of recording achievement. 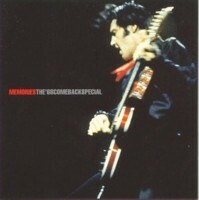 Memories: The '68 Comeback Special (BMG/RCA): A Phoenix rising from the ashes...so was Elvis' triumphant musical comeback from a soundtrack wilderness in December 1968. And in 1998, BMG gave us the best ever CD representation of that momentous occasion. This is raw, passionate music of a musician rediscovering his innate power. And you know what, its fun too! The King was...and is back...as if he ever really went away! 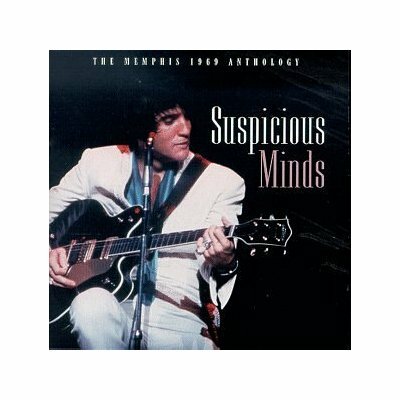 From Elvis In Memphis/Suspicious Minds (RCA/BMG): Elvis' 1969 critically acclaimed country flavored album, From Elvis In Memphis, received its best, and musically most appropriate showcasing, with BMG's 2CD 2002 release, 'Suspicious Minds'. The January 1969 recordings at Chip Moman's American Sound Studios in Memphis easily rank among Elvis' most potent and historically impressive recordings! The seminal diversity of his output actually ranges across pop, rock, soul, country and blues. There are few other artists who can rank or produce recorded product on this scale! It is another example of how musically innovative and ahead of the times Elvis was...great soul recordings...with soul a few years away from assuming mainstream importance. When Elvis Died A Chronicle of National and International Reaction to the Passing of an American King (Neal and Janice Gregory): Simply one of the most important Elvis books ever released. It is both a socio-cultural record of global reaction to Elvis' death and a commentary on the importance of Elvis Presley to the world. Published by Communications Press, Inc. ISBN: 0894610325. Touched By Love: Also known by its book release title, 'To Elvis, With Love', the video adaptation of nurse Lena Canada's moving account of Elvis' pen pal relationship with young Karen, a cerebral palsy victim, tugs at your heartstrings (seriously, have the tissues handy!). Starring future Hollywood superstar, Diane Lane (as Karen), and Deborah Raffin (as Lena Canada), this video deserves an official DVD release. It is a moving story of compassion, well acted, and a fitting tribute to a little known, but important, part of the Elvis story. Presley ("I Don't Sing Like Nobody"/"Cut Me & I Bleed") (BBC TV): Narrated by Suzi Quatro, this riveting two-part TV documentary is a reverent representation chronicling the British fan club's trip to Elvis Week in America. The documentary is a balanced and much needed portrayal of "ordinary" Elvis fans, sans tabloid sensationalism. The documentary also inspired a big selling art print in the UK and Australia, 'Cut Me & I Bleed', an artwork constructed from an image of Elvis in the movie Flaming Star. Heartbreak Hotel The Life and Music of Elvis Presley (Robert Mathew-Walker): Record music director and editor, Walker, provides an analytical examination of not only each of Elvis' recording sessions, but also the merits of each track recorded. Also includes minimalist, but interesting general biography. Originally published as 'Studies In Popular Music Elvis Presley' in 1989 and revised edition with new title published in 1995. ISBN: 1860740553. Early Elvis The Humes Years (Bill E. Burk): Bill Burk's 'Early Elvis' trilogy is one of the seminal The author is an internationally respected Elvis scholar and awarded journalist. 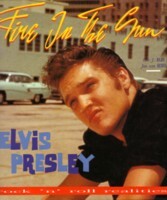 His research for each The Humes Years', The Tupelo Years' (Propwash; 1994) and 'The Sun Years' (Propwash; 1997) is unrivalled in digging up little known facts, exposing myths and "hearing it as it was" from those who were actually there with Elvis at the time. Mandatory reading for any Elvis fan. Published by Red Oak Press. ISBN: 0962560405. Click to enter Bill E. Burk's "Elvis World Online"
Fire In The Sun (Ger Rijff & Jan van Gestel): One of Ger Rijff's superbly designed and engrossing photobook journeys around the young rock 'n roll King. The 1950s visuals are incredible and this hardcover release came with an added bonus, some also terrific b&w visuals of Elvis live in Vegas in 1969-70 and live in 1972 and June 1977. You have to see the photos to appreciate their stark, dramatic and beautiful quality. Americana defined. Published by Tutti Frutti Productions, Amsterdam. Dispelling the Myths: An analysis of American Attitudes and Prejudices (Todd Rheingold): Riveting examination of Elvis and his alleged misappropriation of "black" music. Balanced demystification of the complex attitudes that continue today regarding Elvis and rock 'n' roll music. Published in hardback and softcover by Believe In The Dream Publications. Library of Congress Catalog Card Number: 93-090296. The Atomic Powered Singer (Brian Petersen): This self-published softcover book may lack the design finesse of commercially printed books, but makes up for any seeming visual weakness through its in-depth, month-by-month look at Elvis at the peak of his rock 'n' roll days in 1956. Elvis Aaron Presley: Revelations from the Memphis Mafia (Alanna Nash with Billy Smith, Marty Lacker & Lamar Fike): Monumental oral biography that once you start reading is hard to put down. Driven largely by the tension between different accounts of the same incident. 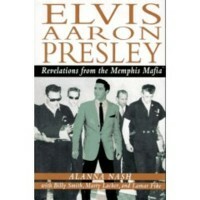 Published by Harper Collins & reissued in 2006 as 'Elvis and the Memphis Mafia' in the UK & Australia by Aurum Press. ISBN: 0060176199/ 1845131282 (2006 reissue). There's Always Me, Volume 1 (Bilko 1598/1999): The first of four magnificient 2CD long box releases from the "underground" label, Bilko. Offering magnificent outtakes in great sound quality from Elvis' 1950s recording sessions and his Nashville 1960/1963 sessions, the There's Always Me volumes deservedly gained cult status. From 'Shake, Rattle & Roll' to 'Never Ending' this release is an audio delight replete with studio chatter, false starts and other studio mishaps. Along with unofficial soundboards, these studio discs served as the prototype for BMG's 'Follow That Dream' label. The Elvis Atlas : A Journey Through Elvis Presley's America (Michael Gray & Roger Osborne): Little appreciated but fascinating examination of the Elvis story told through a clever combination of map, timeline chronology, substantive narrative and good visuals. The concept is like a page-by-page history lesson. Published by Henry Holt. ISBN: 0805041591. Elvis Latino! (BMG Argentina 74321 31495 2): What a sensational release! 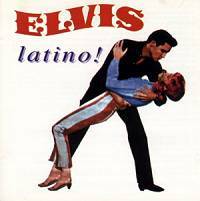 A "themed" or "genre" album featuring Elvis' fantastic "Latino" recordings. This collection of rumba infused recordings was a breath of fresh air when originally released. The 26 tracks include It's Now Or Never, Ask Me, Bossa Nova Baby, Vino Dinero Y Amor, There's No Room To Rhumba In A Sports Car, Do The Vega, I'll Remember You, Stay Away, No More, Write To Me From Naples, Surrender and You Can't Say No In Acapulco. The very strong sales success of this album led to a number of reissues (which unfortunately for the collectors) pushed down the value of the 1997 issue. This "genre" album really "rumbas"!!!! 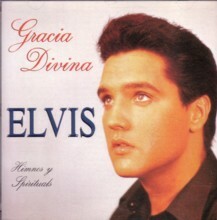 Gracia Divina (BMG Argentina 74321468632): Before BMG gave us 'Amazing Grace His Greatest Sacred Performances' and 'Peace In The Valley The Complete Gospel Recordings', the Argentinian Elvis fan club under, the guidance of Carlos Ares, worked with BMG to release a sublime collection of 28 Elvis gospel tracks. The booklet may have been in Spanish but this release had "quality" stamped all over it. 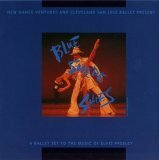 Blue Suede Shoes (A Ballet set to the Music of Elvis Presley) (BMG/RCA USA 07863674582): SOOO DIFFERENT!!!! A ballet set to Elvis' music? Well, this works in a really big way!!! And if you ever get the opportunity to see video of one of its performances jump at the chance...this is a sublime experience! And you will be most pleasantly surprised at how enjoyable a listening pleasure the CD release is. Finding The Way Home (Southern Style 6969): Exceptional sound quality, superb booklet and a collection of masterful recordings made this 2CD offering a treasure. Oh, and there was of course the very choice language used by Elvis on a number of tracks. 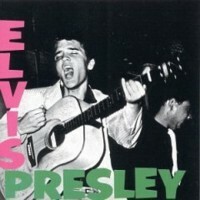 The latter issue gave this release its legendary status, but regardless, this is Elvis during one of his recording peaks. A sublime listening pleasure, but for adult ears only! He Touched Me The Gospel Music of Elvis Presley (Coming Home Music): The pr for this release says: "To truly know Elvis Presley, return to his roots in gospel music". And for once the pr is valid! He Touched Me offers us more than 3 hours of music and interviews over two DVD discs burrowing down to illuminate the music which was always at the core of Elvis' heart and motivation. A very, very important release! Famous Familes - The Presleys: Rock & Roll Royalty: A Biography Channel production from the Fox Network, this early new millennium documentary reeks of tabloid, tabloid, tabloid. But, having said that...it is an engrossing, saliva enducing, guilty pleasure. Yet to be officially released on DVD it is a reasonably balanced, entertaining diversion from the extremes of serious and sensational Elvis documentaries. As we should allow ourselves to sometimes not be one or the other... enjoy! Elvis Fashion: From Memphis To Vegas (Julie Mundy): Made with the cooperation of EPE, this deluxe, in-your-face examination of Elvis' innovative clothing styles is a tour-de-force of color, style and neo-movement. To really appreciate who Elvis was you need to look at this book. Published by Universe. ISBN: 0789309874. Dewey & Elvis: The Life & Times of a Rock 'n' Roll Deejay (Louis Cantor): While Elvis may share the stage with (actually two) Phillips' in this release, what a stage it is. An absorbing account of Dewey Phillips, Elvis and Sam Phillips in those halcyon days of the 1950s. Professor Cantor's narrative takes the reader on a rollercoaster, bittersweet ride....an absorbing saga which will have you in stitches one moment, and close to tears the next. Revealing, powerful and glorious in the breadth of its fascinating, yet flawed, subject matter. Published by University of Illinois Press. ISBN: 025202981. 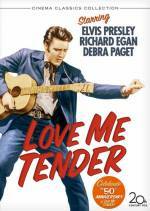 Love Me Tender (Special Cinema Collectors Edition): At last one of Elvis' feature films presented in a deluxe casing and with special features. The features include a nice booklet, reproduction lobby cards from the film, an excellent audio commentary by Jerry Schilling, a photo gallery and the featurettes Elvis Hits Hollywood, The Colonel & The King, and Love Me Tender: The Birth of the Elvis Hit. Released by 20th Century Fox in the USA. Catalog #: 024543227847.